The exiles must have been asking themselves: What happened to prosperity? Why are we still in captivity? How much longer will God abandon us in Babylon? Those questions are still with us today: Can believers expect prosperity in this life? What happened to the promises of prosperity in the Old Covenant? Is there prosperity for the believer today? 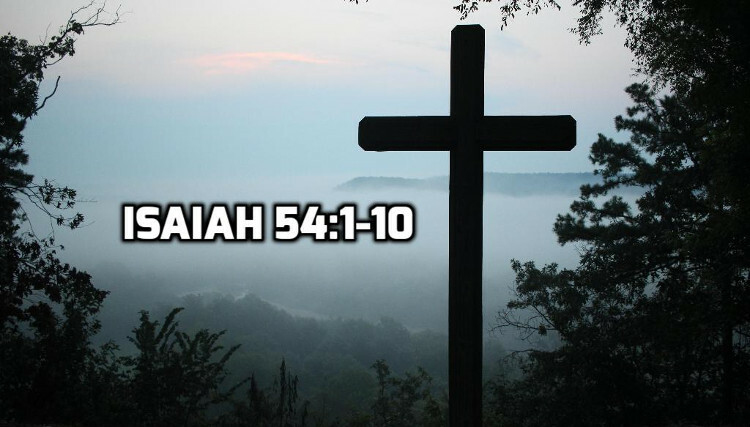 Isaiah 54 addresses those questions. When the Servant finished his work of atonement, a new age will be born which promises a prosperity which far surpasses the prosperity of this age. When is the New Age? The Old Testament Jews believes these promises of a New Age would be fulfilled immediately following the coming of the Messiah. They saw a this age/next age version of history. In the New Testament under the Lord’s teaching, the apostles teach that these prophecies were indeed fulfilled at the coming of Christ, but they were not fully consummated. 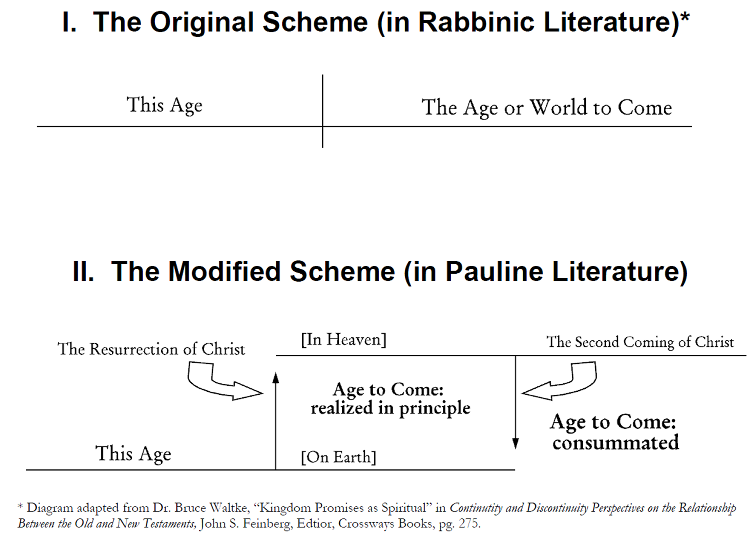 The New Age was realized in principle at Christ’s resurrection, but still awaits its final consummation at the second coming of Christ. This kind of separation between a promise realized and a promise ultimately fulfilled is common in Scripture. Lengthen your cords And strengthen your pegs. 3″For you will spread abroad to the right and to the left. The “barren” (believers under the Old Covenant) now have a reason for joy because the children of the “desolate one” (the Servant) will surpass the “married woman” (the nation of Israel under the Old Covenant). Believers have a greater cause for joy because the New Covenant brought by the Servant will surpass the Old Covenant. The reason for joy: the new seed is a work of God and will far outnumber the physical seed. The new seed will have a new land (inheritance) whose boundaries far surpass the old land. Compare with John 1:12-13; Ephesians2:1-10; Galatians 4:26-28. The new land has no geographical or ethnic boundaries. Even like a wife of one’s youth when she is rejected,” Says your God. But with everlasting lovingkindness I will have compassion on you,” Says the LORD your Redeemer. The New Covenant restores our relationship with God, bringing cleansing for past sins and confidence for the future. The New Covenant is based on the Lord’s resources, not people’s. The New Covenant is initiated by God, not people. The New Covenant is based on a love greater than God’s judgment and God’s loyal-love will outlast history itself.